RMA Surveyors Ltd are based in Newbury, Berkshire. We provide a wide range of building surveying services in Newbury, West Berkshire and the surrounding areas. Richard Mountain, the proprietor, has over 15 years experience in construction and surveying. 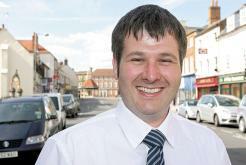 Richard established RMA Surveyors Ltd in 2011. He is a qualified Chartered Building Surveyor, a Member of the Royal Institution of Chartered Surveyors (MRICS) and also a Member of the Faculty of Party Wall Surveyors. Peter Mountain is an Associate with over 45 years experience in construction and surveying in London and the Home Counties. Peter is a Member of the Chartered Institute of Building (MCIOB). Having lived and worked in West Berkshire for many years, RMA Surveyors Ltd have a good working knowledge of house prices, local construction issues and the geology of the local area. All this assists us in understanding buildings, how they perform and how they can be affected. We are an independent company and take pride in the fact that we provide honest, impartial and credible advice to our clients. We are members of, registered with and regulated by the Royal Institution of Chartered Surveyors (RICS) ensuring we maintain high professional standards. We have extensive experience in working with all types of properties including residential, listed buildings, industrial, commercial and retail premises. Our previous and current clients include private individuals, large and small companies, education and Local Authorities. If our experience and knowledge could be of assistance, please contact us. Fill in the below form to contact us today.